The DETER project team is composed of staff from the USC Information Sciences Institute (ISI), and the University of California, Berkeley. 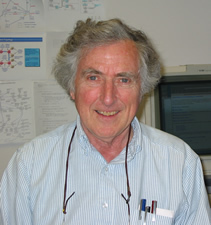 John serves as Chief Scientist for the DETER Project with a focus on experiment model and design methods, and the architecture of extensions to DETERLab’s essential capabilities as an advanced scientific instrument. Terry is the Principal Investigator for the DETER Project, responsible for overall project oversight. She leads outreach, communication and collaboration efforts and is focused on ensuring that the testbed and its community continue to evolve in new directions and capabilities and is ever ready to serve a growing dynamic user community. Anthony is the DETER Principal Investigator for UC Berkeley (UCB), and provides leadership and oversight of UCB’s DETER staff and contributions. His research areas include network anomaly detection, and domain-specific tools for experimentation with network-level detection technologies. Bob leads DETER efforts in extending DETERLab capabilities for experimentation in critical infrastructure cyber-security, particularly in the area of Smart Grids and energy. He leads collaboration with NASPI Net Innitiative and chairs the Network Systems sub task team of NASPI. Ted is the lead research developer responsible for development of new DETERLab capabilities for Federation, Virtualization, and abstraction. Oversees developer projects and works with collaborators in the GENI community. John is responsible for technical operations of the testbed systems, networks, and other components of DETERLab housed at ISI, providing software installation and debugging efforts, hardware maintenance and upgrade and user support. Alefiya is a researcher in network analysis, semantic visualization of network traffic and is responsible for design and development of the DETERLab Experiment Life Cycle Management System and for CPS experimentation. Jelena is a leading researcher in core problems in DDOS, Malware, and Traffic Generation, and also leads DETERLab educational efforts developing course curriculum and class room exercises using DETER. Cliff leads ISI cyber-security research projects in Smart Grid with a community of research partner organizations. He advises the community on use of DETERLab for architectural analysis, experimentation and test. 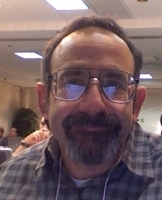 Steve provides design and architecture research and development, and leads efforts in investigating fundamental approaches to modeling experimental scenarios in the network and cyber security domains, as well as architecture and development of DETER tools and testbed capabilities that leverage these techniques. Brian is responsible for technical operations of the testbed systems, networks, and other components of DETERLab housed at UCB. Keith is a DETERLab software developer working on infrastructure enhancements related to performance and controls in DETERLab's network level resources, such as experiment isolation, switch management. Sklower also contributes support for instructional use of DETER.